Rent a scooter in Mauritius with POP, and enjoy the freedom of riding around the island and access to all amazing view points. POP Car Rental put at your disposal a large fleet of well maintained 125 cc automatic scooters to allow you to visit the island at your own pace without being worried of the day to day traffic. Request a booking, its easy just fill the form! If you are on a low budget holiday in Mauritius, renting with POP Scooters will allow you to visit the maximum of the Island at a very low cost. 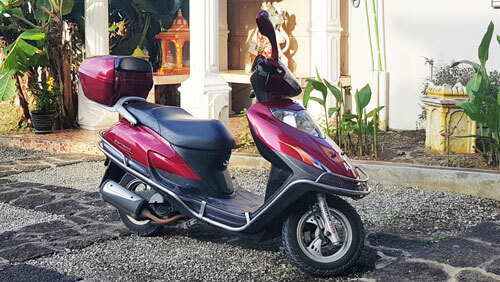 Apart from our scooters being fuel efficient, POP scooter rental offers you an assistance, and is always available to intervene to make your stay enjoyable. POP Mauritius is a 100% local family owned activity. We are proud to serve you and work hard to provide our best service since 2010. Discover more about Pop Mauritius !